Soon built adapters available. Because this works best with Sandisk compact flash cards, and they are very picky by write, it takes more time to make proper PCB for this. I'm not going to bother posting on AF about this project, stupid as you can't properly post there anymore. All the hostilities are very tiresome anyway between people. 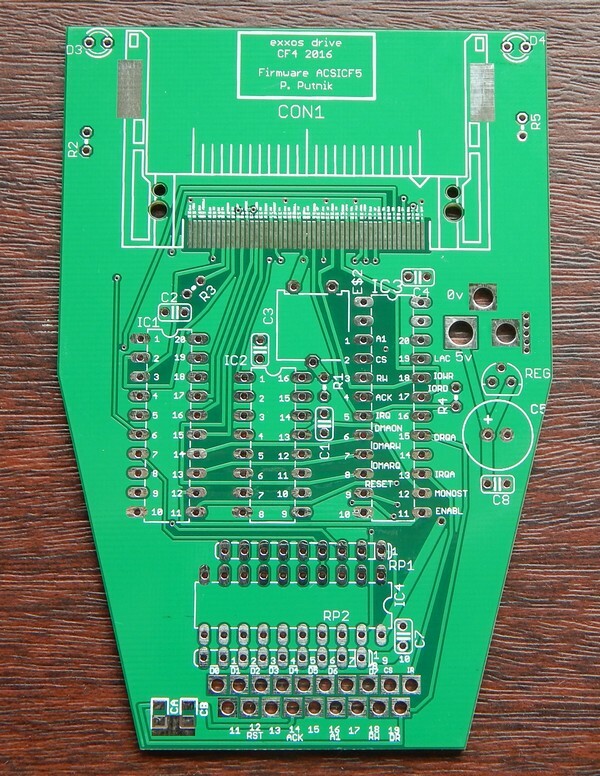 So new PCB layout. This time 4 layers as CF cards seem very sensetive to supply rail noise. Anything over 20mV noise seems to cause issues. So this time I have a 5V regulator to power CF card. Also now dedicated layer for GND and 5V and better routing of signals. Also I added in a buffer on the datalines with pullups each side. This might not be necessary, but I think the CF data inputs are very sensitive to noise also. So the buffer should help clean up DMA signals. Mostly I had read problems until I added regulator. The current issues is write problems. I think when CF drive the databus, the DMA works good. But when DMA drive the databus to write to CF, it has random corruption. So hopefully the buffer will solve write issues, but it is still unknown what is exactly causing it. Page created in 0.598 seconds with 29 queries.